Tom Hiddleston & Hugh Laurie Are a TV Match Made in Heaven, But What If Loki & House Were Forced To Work Together? What's better than having one handsome British actor on your television screen? Having TWO British actors on your television screen, of course! (Why do you think I love Sherlock so much?!) And that's exactly what American audiences have in store now that Tom Hiddleston and Hugh Laurie are set to star in The Night Manager on AMC. I know, it's pretty much the best news ever, right? I mean, the world has already officially been diagnosed with Hiddleston fever (as of now, there's no known cure), so we'll basically take as much of him as we can get — and then some. As for Laurie, well, he's already proven to be highly successful on American TV during his titular role on the eight season series House M.D. This adaptation of John le Carre's novel will center around Hiddleston playing the role of former British-soldier-turned-hotel-auditor Jonathan Pine, who gets pitted against Laurie’s Richard Onslow Roper, a black market dealer. So suffice to say, the two of them aren't exactly going to be getting along that well throughout the installment. 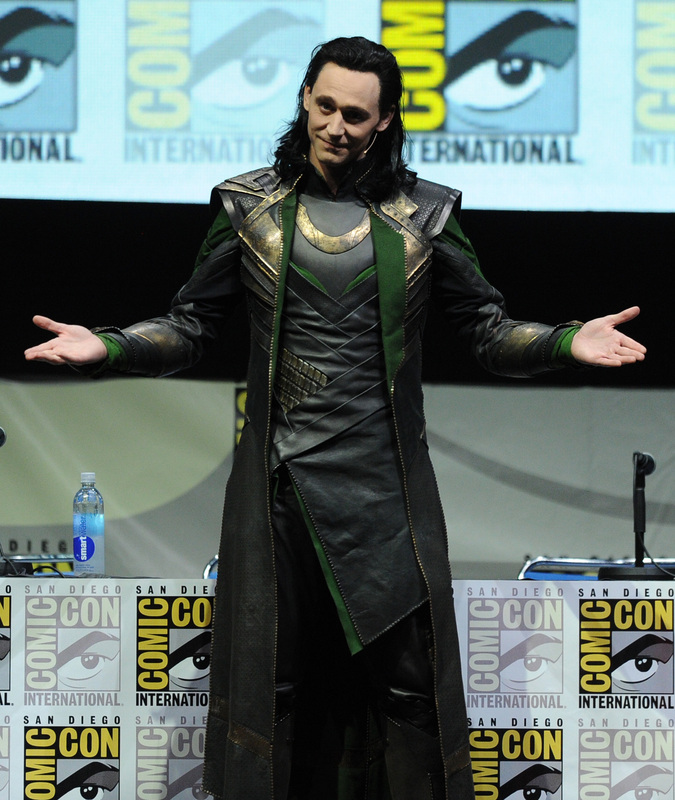 (Too bad because I was really looking forward to a Hiddleston-Laurie bromance.) But this got me thinking… what would it be like if these actors' two most iconic characters Loki and Dr. Gregory House were forced to work together in some capacity? Whether it be scaring the truth out of their victims/patients or just plain calling them out on their BS, there's no way anyone would be able to get anything past this dynamic duo. They're just too smart for that. Let's face it — they'd both waste so much time trying to convince each other that they were the one in charge, I doubt very little else would be able to get done. Though I'm sure the witty British banter would be downright hilarious. Staff, cane. Cane, staff. Either way, it's all equal parts impressive and awesome. While Loki believes himself to be an actual God, House constantly gives off the impression that he doesn't believe in any type of God or religious being. Something tells me Loki would have a few things to say about that. So while they didn't have the greatest success of communicating with their old man, perhaps they'd find solace in each other's shared sorrows over a glass of scotch. I'll drink to that! Which is never a good foundation for any relationship. Verdict: Looks like it could go either way, so if any network is looking to pick up a new God/Doctor project (working title: God Doctor? ), just remember that you heard it here first.